Join the cellar staff in celebrating the delicate art of pairing great wines with fresh catches North Carolina's coast and beyond. 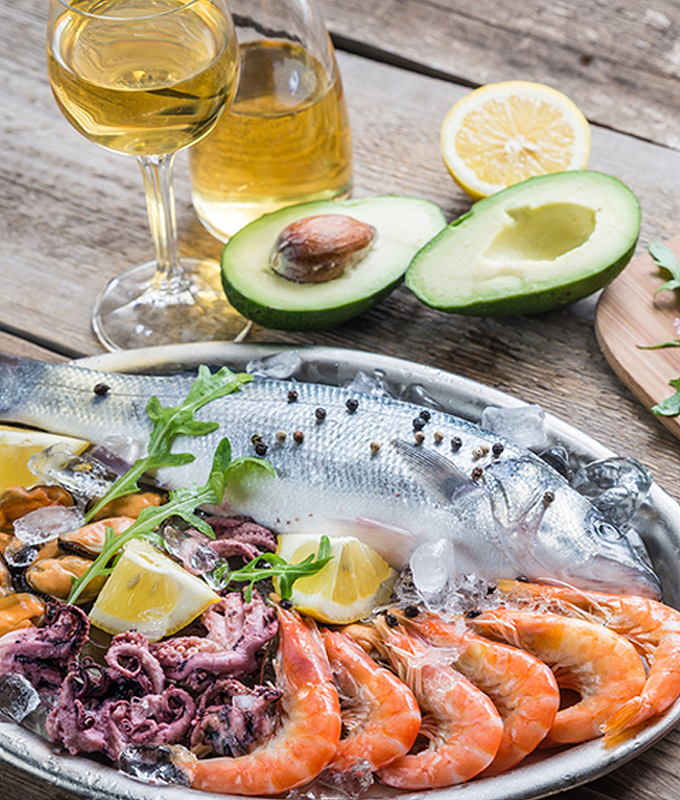 Pairing wine with seafood isn't a difficult task. Think in terms of weight and substancedelicate raw fish and light, briny shellfish go best with equally delicate, light white wines. Similarly, a piece of grilled swordfish will go better with a richer, more substantial white (and if the fish is served with, say, a red-wine reduction, a red wine may even be the best choice). People often choose a white wine for fish, and with good reason: Most fish and shellfish have delicate, subtle flavors that call for an equally light wine. But coatings and sauces, even with fish and shellfish, often determine the perfect pairing.